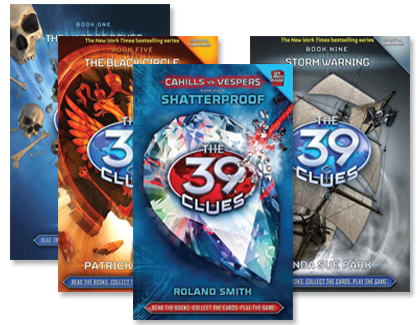 The 39 Clues™ is an interactive and multi-platform adventure series combining books, collectible cards, and an online game where readers become a part of the story. The groundbreaking series was the first of its kind in the publishing industry. Film rights for The 39 Clues have been optioned by DreamWorks. The script is being penned by Jeff Nathanson whose credits include Catch Me if You Can and Rush Hour 2.